Let's talk office chairs today shall we?! 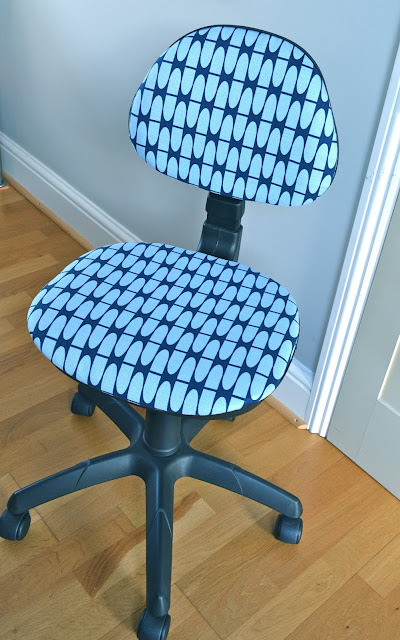 Office chairs aren't the most stylish pieces of home furniture, but for a lot of people they're a necessary evil if you work from home. We desperately needed a second chair for the loft but didn't have big bucks to throw at a stylish vintage one. 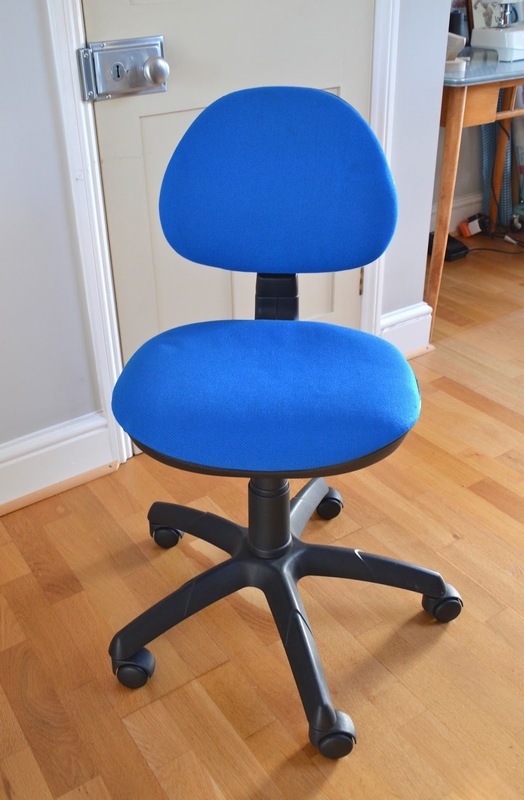 So when my husband saw a boring looking but perfectly good chair ready to be thrown out at work, he nabbed it. First of all, you'll need to separate the back rest and seat cushion from the frame of the chair. There are lots of different sorts of office chairs, but generally the two cushioned sections are simply screwed onto the frame. Remove the screws and detach the cushions. The cushions will each have a plastic backing which also need to be removed. Some plastic backings simply pop off, but ours needed prising off with a screwdriver! The cushion cover was held in place with elastic so all I had to do was attach my fabric around the elasticated edge. 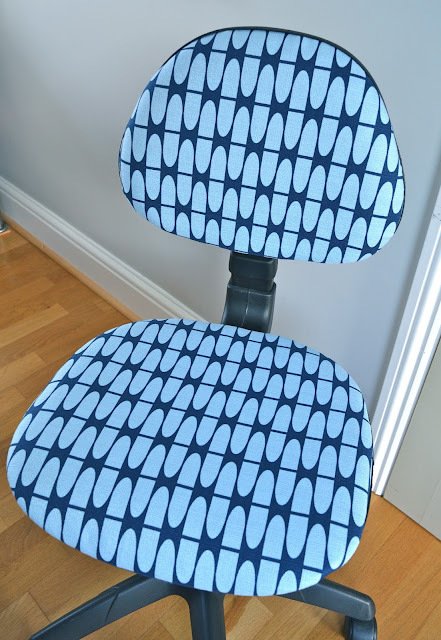 I think we struck lucky as most office chairs have the fabric attached to the cushion with staples. Now for the fun bit! Place your cushion face down on the wrong side of your chosen fabric, add about a two inch margin all round and roughly cut around the outline. If in doubt leave a wider margin - you don't want to find your fabric is too short! Fold the fabric firmly around the cushion and pin into position, starting at the top middle, then the bottom, leaving the corners until last. For the corners you'll need to pleat the fabric at the back to ease it round the curves. Keep pulling the fabric taut and checking that the right side of the cushion is smooth. Tack your fabric to the existing cushion (or you can staple at this stage, this seems to be what most tutorials advise). Fold the raw edges of the fabric under the elasticated cushion edge and tack in place through both layers. If, at this stage you realise that some bits of your fabric aren't quite long enough to fold round the edge (as in my case!) don't despair! The plastic backing will cover them up. Replace the plastic backing. Now do exactly the same for the seat cushion and re-attach both cushions to the chair frame. 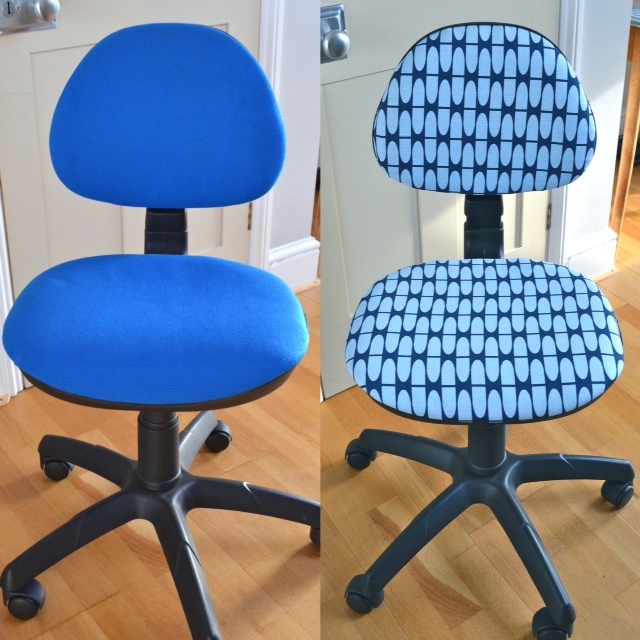 You now have a gorgeous new office chair! I recommend sitting on it and whizzing round the room in triumph. When I was searching for inspiration I did spot a couple of very glamorous red coats pinned to my Red board on Pinterest, but they're both quite voluminous shapes, which tend to dwarf my petite frame. 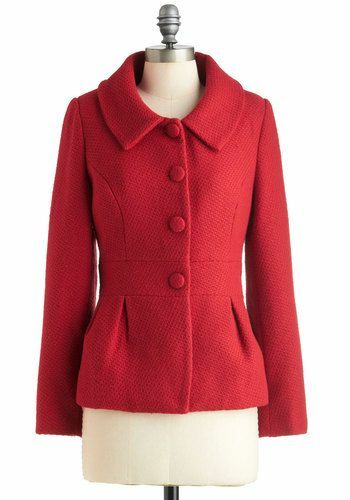 What I was after was a classic fitted coat with a collar, a bit like a longer version of this Modcloth jacket. I found it in McCall's 7058. This pattern has a truly hideous front cover which does an excellent job of masking the classic, well drafted pattern within. There are plenty of options all based around the same princess-seamed shape: a short, Chanel-style collarless jacket, two hip length jackets (one belted, one hooded), two mid length coats and a long hooded coat (phew). I've decided to go for a mash up of views B and C.
Manju made a very stylish interlined wool version here and I've taken some great tips from her excellent review. 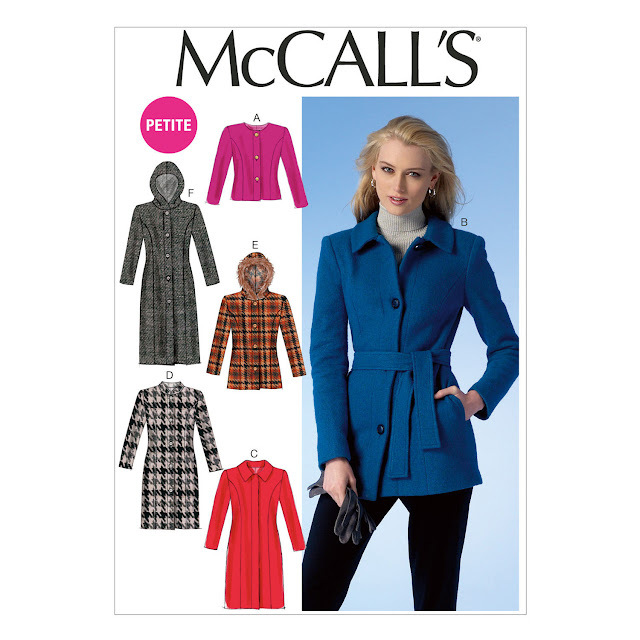 My main coat fabric will be a wool twill coating from Fabric Godmother, which now seems to be sold out unfortunately. It's a lovely bright red and feels very warm. I know Manju also interlined/underlined her version with pyjama flannel for extra warmth and I'm still debating whether to do this on mine. What do you think? I'll be lining it with this Dusky Steel Blue lining fabric from Ditto which I think is a nice contrast to the red. 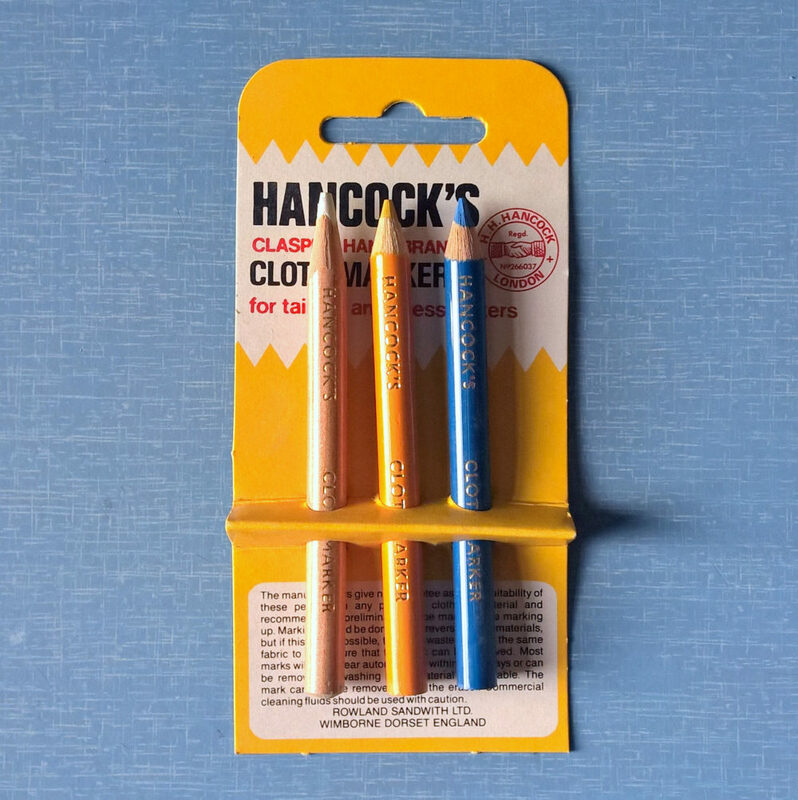 I've also bought some good quality interfacing from English Couture and have invested in a tailors clapper for a professional finish on all those seams. I'm all set! I did a tissue fitting and the size 14 seems to fit well. The good thing about this pattern is that there is a petite sizing option which I've taken full advantage of. Each pattern piece is shortened by a total of two inches: an inch at bodice height and an inch at skirt/knee height, which is a perfect proportion for my build. The sleeves are also shortened at two different points without affecting the shape of the elbow dart. 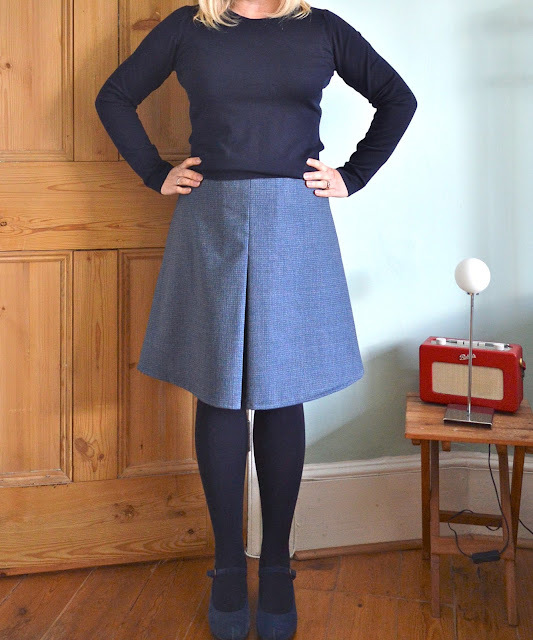 When I first learnt to sew in 2009, my dressmaking teacher advised me to master the art of skirt making first. Her reasoning being that women's bottom halves are generally easier to fit than their top halves. I searched in vain for a book that would teach me to do just that, but never found anything suitable that focused exclusively on skirts. 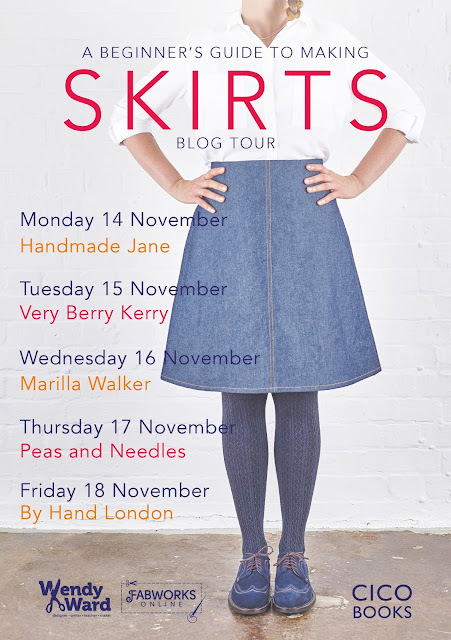 How I wish A Beginner's Guide to Making Skirts by Wendy Ward had been around at that time! The book is exactly as described: a comprehensive guide to making skirts with full size paper patterns. Wendy focuses on eight basic skirt shapes: circle, A-line, stretch pencil, wrap, bubble, tailored pencil, front opening and culottes and offers three variations for each style. That's a lot of skirts to get your teeth into! The simplest version of each style is shown made up in denim, which I think is a nice touch as it gives you a good idea of the basic shape before you start getting adventurous! The majority of styles are ones I'd make and wear, the only exception being the bubble (or puffball) skirt which I was never a fan of, even as a teenager in the 80's! There are step-by-step instructions with clear diagrams for each project variation, with basic methods for inserting zips, attaching waistbands, adding linings etc, all included in the excellent Techniques section at the back of the book. This section is massive and it really does cover everything you need to know, not just about skirt making but about sewing in general - it's almost a sewing book in its own right! 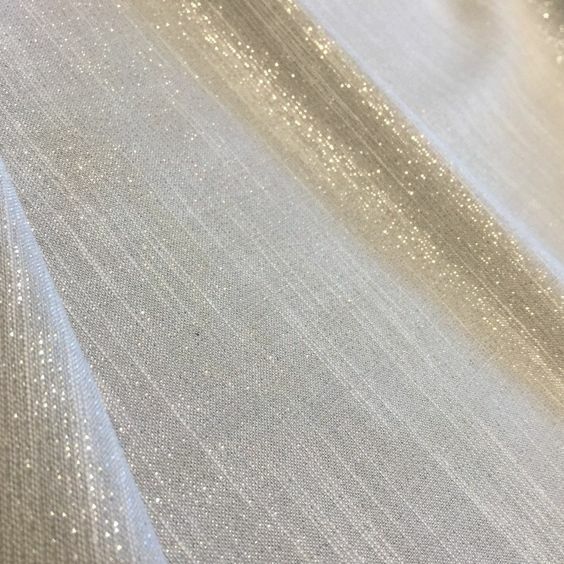 The techniques required for each project are listed at the beginning of each skirt 'type' and it's definitely worth reading through them beforehand so you have an idea of what you'll be doing. You'll still have to flick between different parts of the book to look them up, especially if you're a beginner, but at least you'll be prepared. While we're on the subject of preparation, I'd also recommend you read the Using Paper Patterns section very carefully before you start. I dived straight in and consequently tripped up a couple of times. Firstly, the pattern piece for the skirt I made (the Rusholme) is printed in two halves (top half and bottom half) on two different pattern sheets, which flummoxed me a little. Secondly, some pattern pieces, such as waistbands and facings, are used for more than one project. I was looking in vain for ages for a facing for the Rusholme skirt before I re-read the instructions and realised I had to use the pattern pieces for the Fallowfield skirt! Once you've located your pieces you'll need to trace them from the three large pattern sheets, as the sheets are printed on both sides and the patterns overlap. I have to admit, a Burda-style pattern road map is not my favourite way to work, but having said that, once I'd worked out a few basics (see paragraph above! ), it didn't actually take long to trace them off. The skirts in the book are printed in order of difficulty and the Rusholme A-line skirt I chose is somewhere in the middle. The skirt is shown with three variations: short with a waist facing, knee-length with waistband and centre front pleat or long with pockets and waistband. In the spirit of the book I chose to mix and match between variations, making a short skirt with a waist facing but also including a centre front pleat. The book actually advises not to use a facing with the pleated version (and I can see why as there is more fabric in the pleat to be supported) but I decided to be a rebel and throw caution to the wind. Sizes are based on your hip measurements and range from 34¾ inches (88cms) to 51 inches (129cms). This is the equivalent of UK sizes 8-26 or US sizes 4-22. I cut a size 38 inch hip but graded to the next size up at the waist as the finished measurement would have been too tight. I also used the length of the smallest size to save having to shorten the pattern. These were the only changes I made to the pattern and as there were just two skirt pieces and two facing pieces it didn't take long to sew at all. The fabric I used was a fine wool suiting (Muted Grid in Denim) from Fabworks, who kindly supplied the fabrics for this blog tour. It's a reasonably lightweight fabric with a good drape and the ability to hold a sharp crease, which was exactly what I was after. It does fray quite noticeably if handled too much, but apart from that it was a pleasure to work with. The finished skirt fits me like a glove: it has the perfect amount of ease around the waist (I'm glad I went up a size!) but still has a nice shape. I love the roominess of the inverted pleat too, it almost looks like I'm wearing a pair of culottes. As for the illegal facing/pleat combination I'm happy to report it hasn't caused any problems so far, probably because my fabric wasn't too heavyweight. 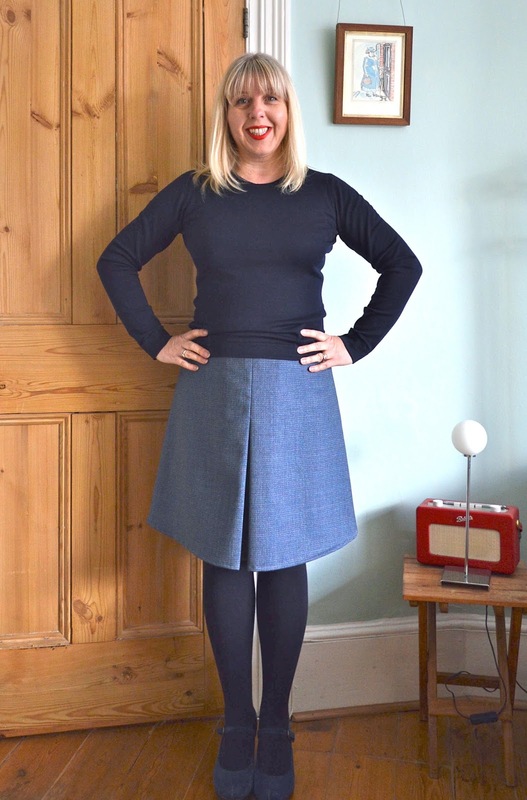 A Beginner's Guide to Making Skirts is an excellent introduction to skirt making, not just for beginners but for more experienced sewers too. As Wendy says at the start of the book, "The devil is in the detail and I'll show you how to perfect those details…I'm a stickler for doing things right and taking the time needed to get the best results" I'm definitely pleased with the results - so much so that I've already cut out a second skirt! 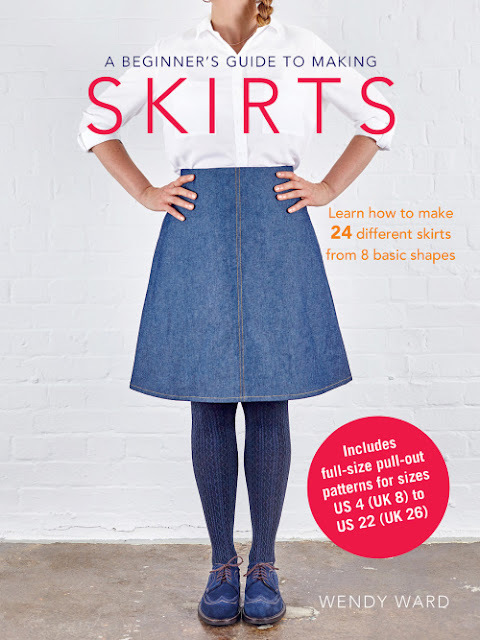 A Beginner's Guide to Making Skirts was given to me for review by CICO Books and the fabric was supplied by Fabworks. All views my own. I know it's still only November, but it's never too early to compile a Christmas list. I've had my beady eye on this lot for a while now - if Father Christmas doesn't take the hint then I'll be buying them all for myself! 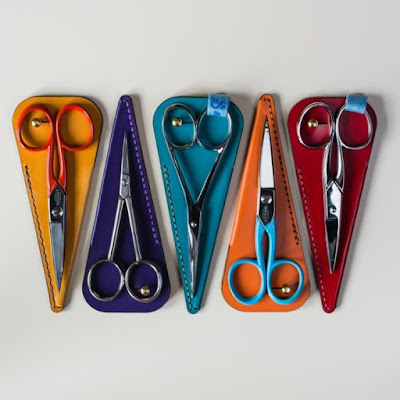 It's no secret that my first port of call for beautiful sewing goodies is Beyond Measure. 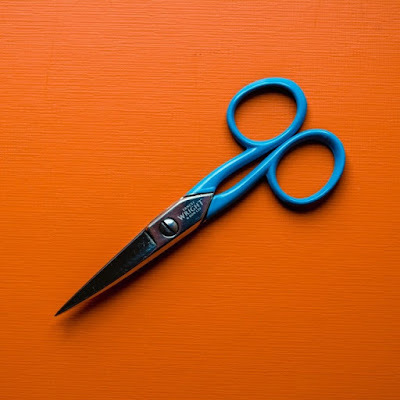 This year I'm pining for a pair of Ernest Wright embroidery scissors with baby blue handles (to match my dressmaking shears). Plus a beautiful leather case to keep them in, hand stitched in Lancashire. I can't quite decide on the colour though, either red or light blue I think. A set of these lovely marking pencils would make a great stocking filler too! 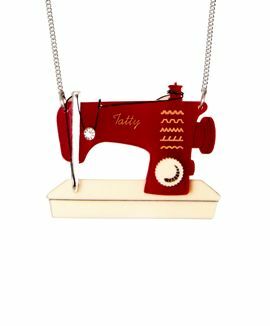 I'm sure pieces of Tatty Devine sewing themed jewellery will be popping up on many a sewist's Christmas list. My favourite is the traditional Sewing Machine Necklace. I'm a big fan of stationery and by far the loveliest I've seen recently is the personalised range from A Thing Created. 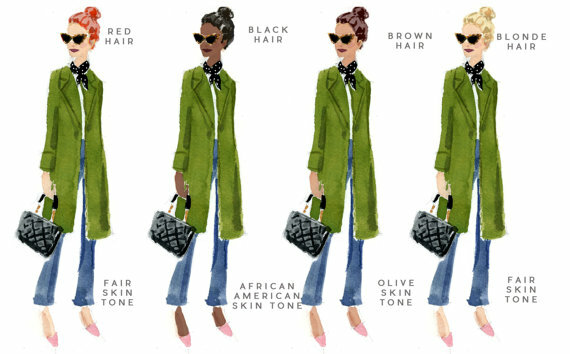 Choose from a selection of chic fashion illustrations, then customise with your own name, hair colour and skin tone. It's a really nice treat for yourself or a very special gift for a friend. 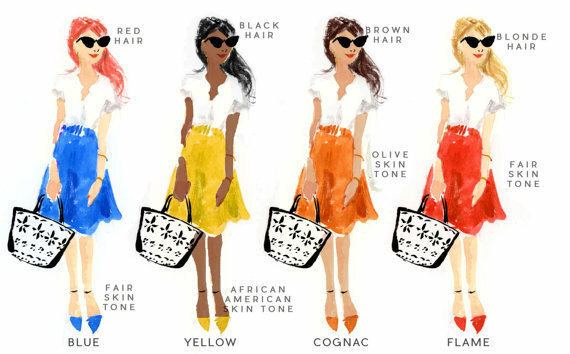 I actually ordered a set for myself in the summer from the illustration below - the one on the far right sporting a classic white shirt and red skirt combo. I've been sending them out to everybody left, right and centre, so may have to order more! The company is based in the US, so if you're ordering from the UK make sure you do so before Friday 2nd December to ensure a pre-Christmas delivery. If you're a book lover or have a book lover in your life then you'll LOVE Persephone Books. The company publishes little known or re-discovered tiles by (mostly) women writers. 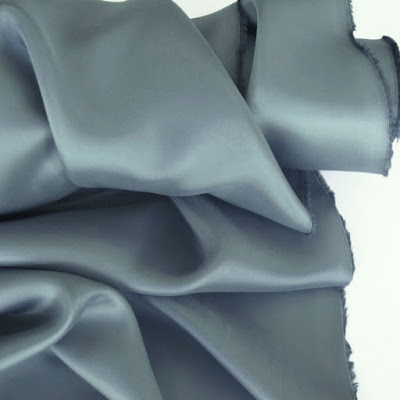 Each book has a beautiful 'fabric' endpaper and matching bookmark and an elegant grey jacket. They're an absolute pleasure to read and I've loved every single one I've read. Next on my list is The Homemaker by Dorothy Canfield Fisher. Whilst we're on the subject of books, how about a shameless plug for my own book?! If you're looking for a sewing-themed children's gift then I can heartily recommend Get Into: Sewing by Jane Marland! 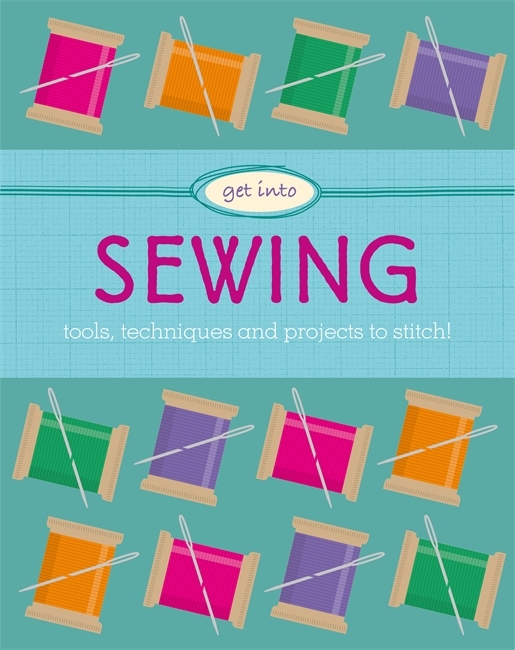 Packed full of simple, colourful hand sewing projects, it's a fun introduction to sewing for 8-11 year olds. 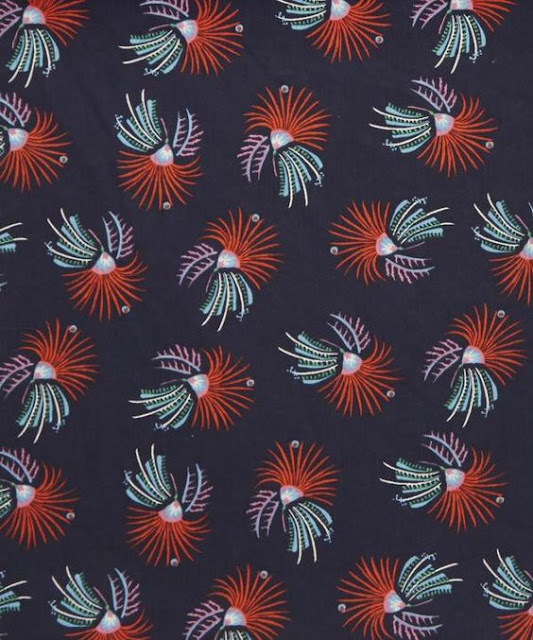 And finally, no Christmas list would be complete without some Liberty fabric to drool over. This Floral Firework design is a contemporary interpretation of traditional Chinese emblems. 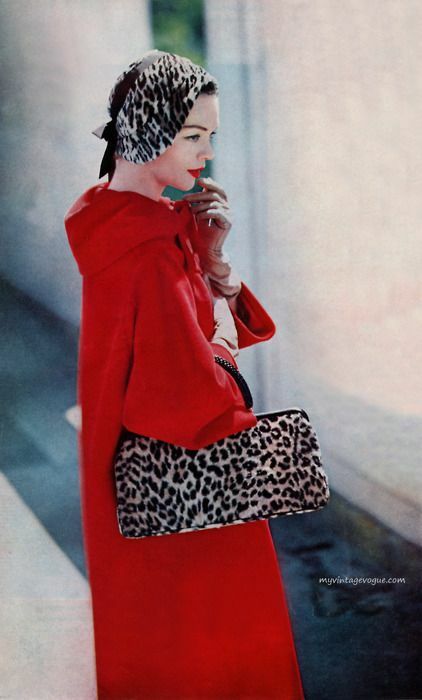 I think it's stunning - it reminds me of a 1930's print! That's just about everything from me - what's on your Christmas list this year?! ...taking inspiration from the lovely Ms Farrah Fawcett. 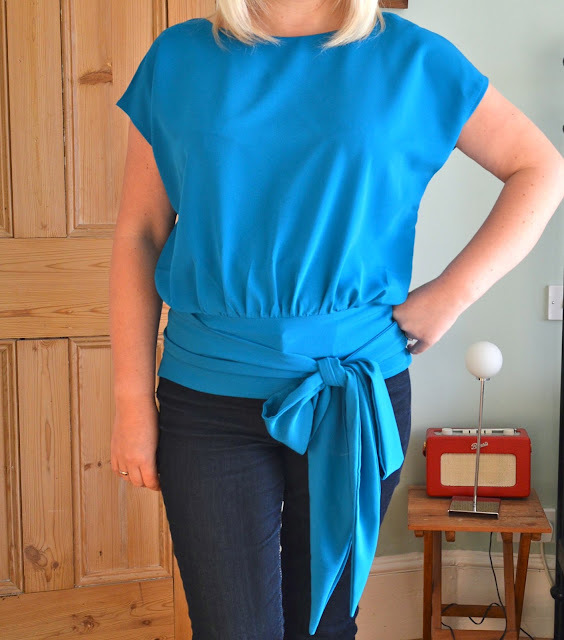 I used the Anita Tie Top self-drafted pattern from Sew Over It Vintage, in the hope that I could channel a late 1970's Halston vibe. The fabric is a turquoise luxury crepe which, as the name suggests is beautifully classy and luxurious, but it just doesn't seem disco enough for the party. 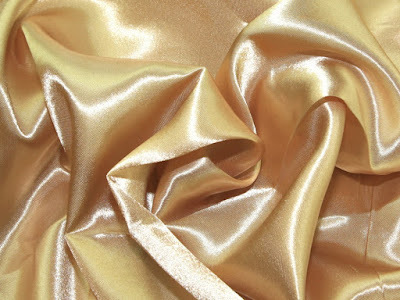 I did put the colour question to my readers in my last blog post and the response was unanimous - make it shiny and gold. So that's what I'll be doing, wahay! Widen the neckline slightly to make it off-the-shoulder. Lengthen the top to tunic length and straighten the side seams (mine are tapered in) for a more voluminous effect. Remove the bottom band and ties - I can add a self fabric belt around the waist for definition instead. 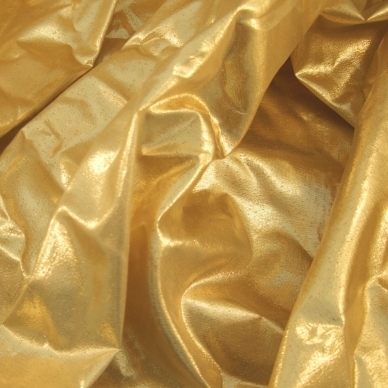 Hopefully this should result in something suitably disco fabulous, especially in gold fabric. What do you think? 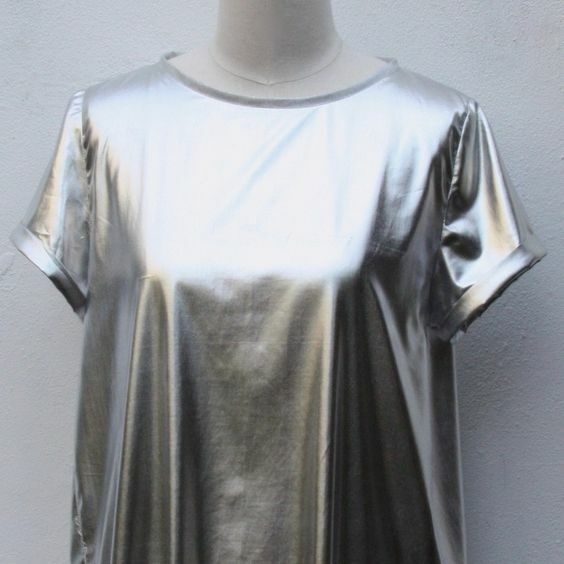 Robert Kaufman Manchester Metallic in Silver from M is for make. This fabric looks really beautiful and is probably too good for a one-off party top. I might still put it on my Christmas list though! And finally, a latecomer which I just spotted whilst reading this post - Viscose Foil Fabric from Ray Stitch. The fabric listing includes pictures of what it looks like sewn up, which is super helpful. This might be the one actually. 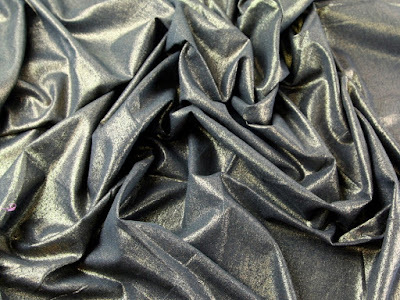 If you've sewn with metallic fabric before and have any tips, please do share them in the comments.